Jerusalem al-Quds(ANN)-The United States has officially announced the opening of its new embassy in Jerusalem al-Quds amid deadly Israeli crackdown on peaceful protests by Palestinians in the occupied territories. 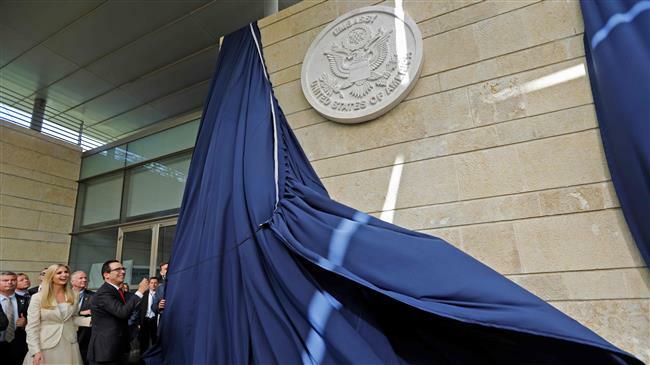 “Today we open the United States embassy in Jerusalem [al-Quds], Israel,” US Ambassador to Israel David Friedman said at the beginning of the inaugural ceremony on Monday, attended by a US delegation from Washington and officials of the Israeli regime. 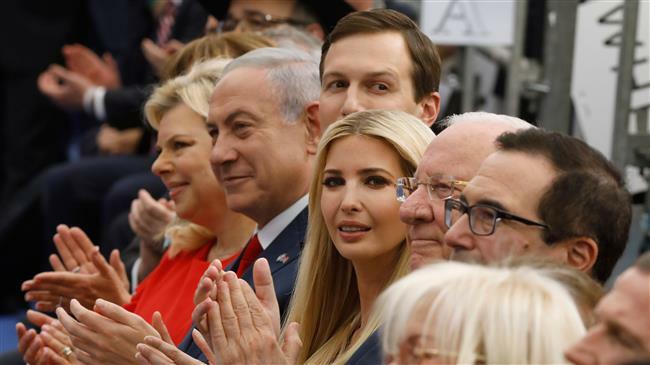 Among the participants were US President Donald Trump’s daughter, Ivanka, and her husband Jared Kushner, who has been tasked by Washington to negotiate an end to the Israeli-Palestinian conflict. In a recorded message at the ceremony, Trump said he remained committed to peace between Israelis and the Palestinians, also expressing strong support for the Tel Aviv regime. Trump recognized Jerusalem al-Quds as the “capital” of Israel in December last year, promising to relocate the US diplomatic mission from Tel Aviv to the city. The decision sparked outrage among Palestinians, who deem Jerusalem al-Quds as the future capital of a Palestinian state. In the hours leading up to the inauguration, Israeli troops engaged in clashes with Palestinians taking part in mass protests on the Gaza border. According to Gaza health officials, at least 43 Palestinians have been shot dead and hundreds have been wounded by Israeli snipers who are positioned along the fence, facing the protesters. The Monday toll is the highest in a single day since a series of protests demanding the right to return to ancestral homes began on March 30. Israel has shown a violent reaction to peaceful protests by Palestinians in the Gaza Strip, killing dozens and injuring thousands over the past weeks.